Thursday could see a huge blow to SeaWorld's orcas. 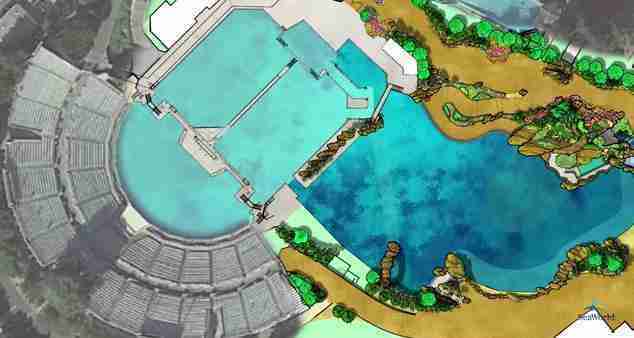 The California Coastal Commission is expected to vote on SeaWorld's Blue World Project, a proposed expansion to SeaWorld San Diego's orca tanks that the company has been trying to push through for months. While the tank expansion might sound nice at first, it's rightly been criticized by animal lovers as a PR stunt designed to make SeaWorld's orcas appear better off than they are. The new tanks will barely double the size of their habitat, and are still painfully undersized for a fully grown orca. To put it into context, an orca would have to swim 1,500 lengths of the planned enclosure to swim as far as he would each day in the wild. 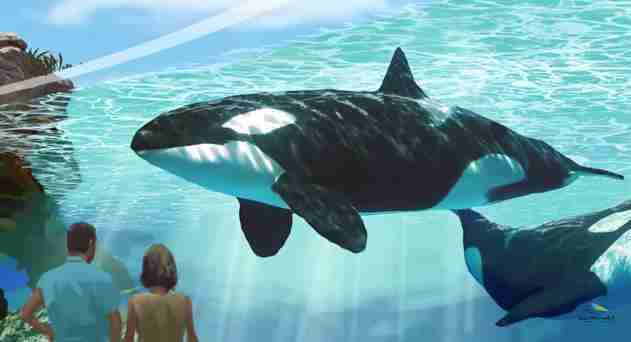 And while wild orcas dive up to 1,000 feet below the ocean's surface, the new pools would only be 50 feet deep. And these slightly bigger tanks could soon be just as cramped, as SeaWorld has acknowledged on its website that it intends to breed more orcas if the expansion is improved. Some of the so-called improvements made to the tanks will also be more for the benefit of the humans than the orcas, such as a newly decorated viewing experience. And many people have rightly pointed out that if SeaWorld cared about orcas, it would spend the $100 million it plans to use on this new tourist attraction on sea pens - an alternative endorsed by many welfare-minded biologists - or conservation, which SeaWorld often talks about but rarely contributes to. SeaWorld's been criticized by everyone from marine biologists and veterinarians to famed primatologist Jane Goodall, who said in May that SeaWorld's parks should "definitely" be closed down. Goodall and Jean-Michel Cousteau, along with other signatories, also submitted a letter last month condemning the expansion. And while numerous orca welfare violations have also been revealed at the parks - including unnatural inbreeding, drugging orcas with Valium, stealing babies from their mothers, severe dental problems, sunburn from the shallow tanks and a host of other physical and psychological symptoms - SeaWorld has thrown its PR efforts into painting the expansion as an investment in animal welfare. The commission seems to be falling for it - or at least looking at it from a business perspective instead of considering what's best for the orcas. Commission staff released a recommendation last month urging approval for the expansion and proudly declaring that the orca facility would not be permitted to house whales taken from the wild after February 2014 - an entirely moot point, since SeaWorld hasn't taken an orca from the wild in years, and one that shows just how poorly informed members of the commission are. The recommendation for approval also flies in the face of public opinion: The commission has received roughly 150,000 notes from the public about the planned expansion, most of them opposed to it - the largest public input the commission has ever received on an issue. If the expansion is allowed, it would be a huge stamp of public approval for SeaWorld. While the commission is expected to approve the plan, there will be a day-long public hearing held before the vote, and every voice counts. If you'd like to help, you can write to the commission at seaworldorcafacility@coastal.ca.gov. If you'll be near Long Beach, California, you can show your support for orcas by attending the public hearing on Thursday.